No other sessions of #IPBES6 will be open to the media. The working language of the IPBES secretariat is English, although every effort will be made to translate and interpret #IPBES6 communications in Spanish as well. 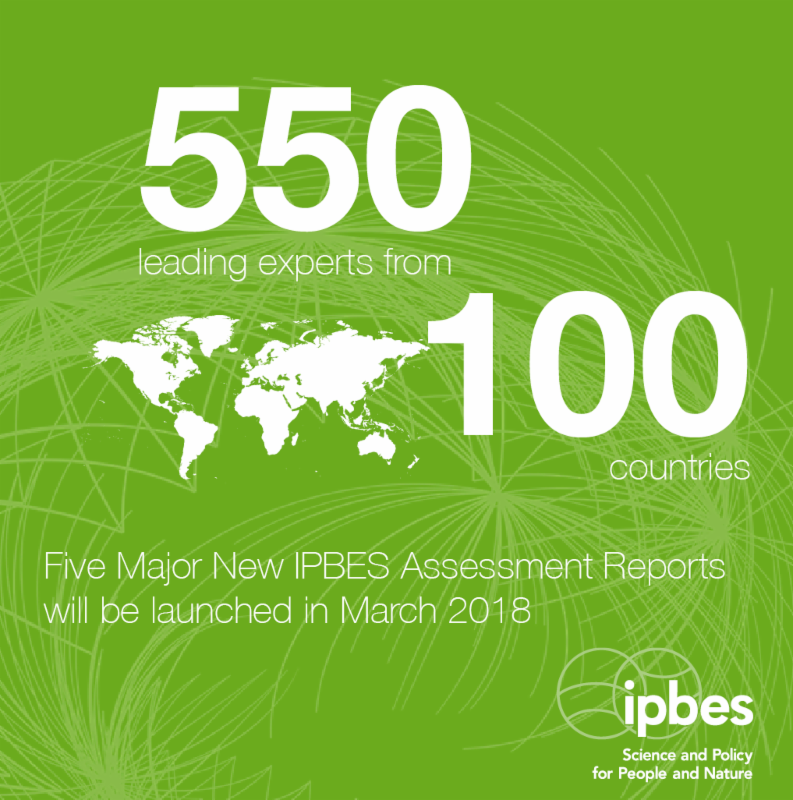 The five major new assessment reports have been prepared over three years by more than 550 leading international experts from more than 100 countries at a cost of more than US$ 6 million. Together these scientifically peer-reviewed reports are the single most important expert contribution to contemporary global and regional knowledge about biodiversity and ecosystem services. 'Site' (for those who wish to attend the opening ceremony and/or media conference/s in person). The deadline for 'site' accreditation is 2 March 2018.